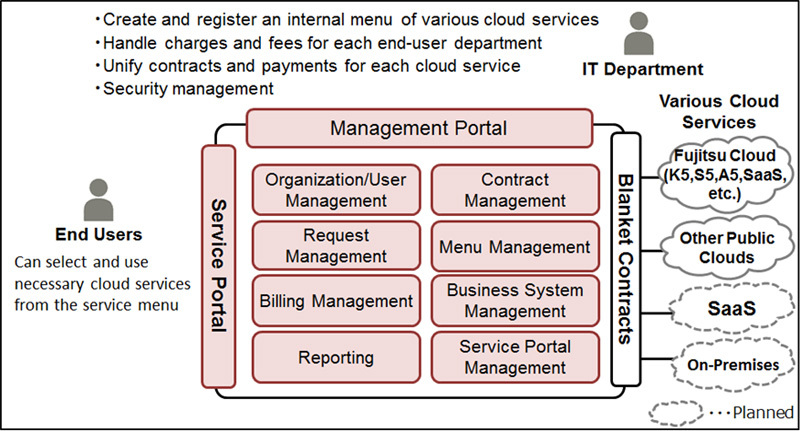 Fujitsu today announced that it will begin offering a new multi-cloud integrated management service, FUJITSU Cloud Services Management, as well as FUJITSU Software Cloud Services Management (with the service and software collectively referred to below as "Cloud Services Management"), which enable unified management of the many different cloud environments spread across different end-user departments and work areas within a company or organization. 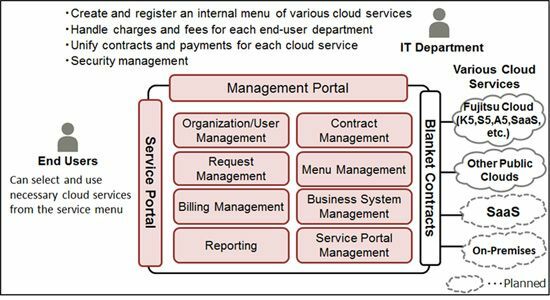 Sales of Cloud Services Management in Japan begin today. 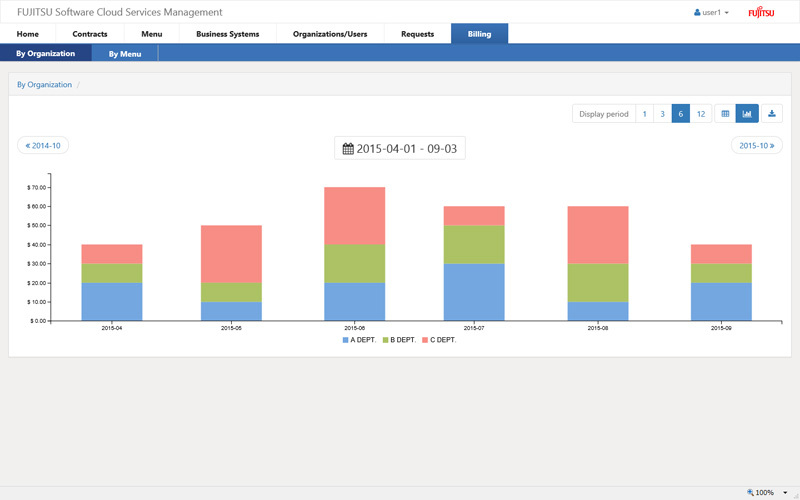 Beginning in the third quarter of fiscal 2015 - which starts in October 2015 - the service and software will be rolled out globally, starting with Europe. Through Cloud Services Management, which is part of a continuing digital business platforms initiative announced in May 2015, Fujitsu aims to strengthen its customers' competitiveness. 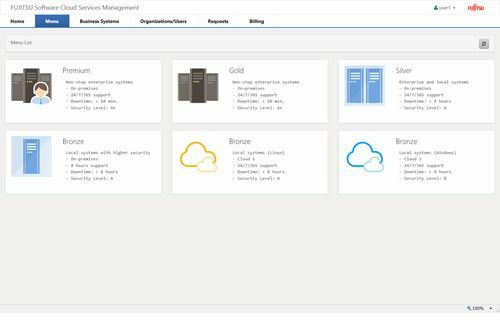 In recent years, there has been an increase in companies and organizations where not only IT departments, but end-user departments - such as sales or product development - have also been directly signing contracts and using cloud environments that they have needed to quickly carry out assignments and projects. As a result, it has not been possible to get a handle on company-wide usage situations, making it difficult to maintain security and achieve the necessary management of operations and costs. Furthermore, the specifications, operations, and contracts are different for each cloud, creating problems by increasing operational manpower requirements and making work operations more complex. 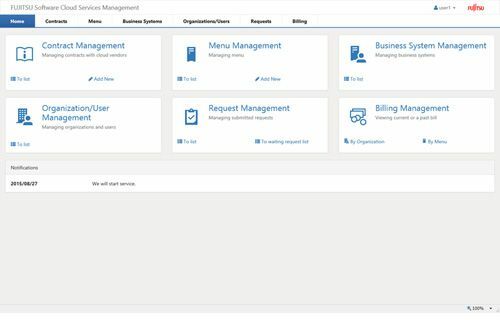 IT departments can bring together cloud services - including those from Fujitsu and others - into system configurations and functions in accordance with their company cloud deployment policies, set prices, and register them in an internal service menu on the Cloud Services Management portal. 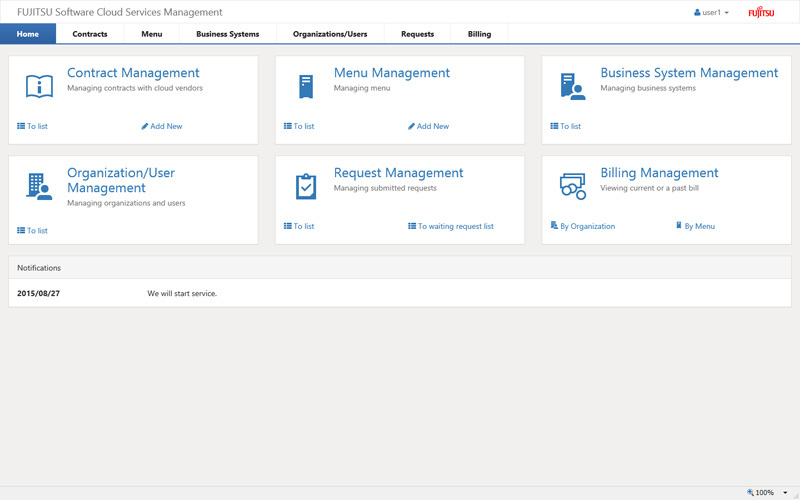 By choosing the services they need from the service menu on the portal, users can easily start using the services. Furthermore, by making blanket contracts covering each cloud service, IT departments will be able to use clouds strategically and visualize costs and usage across all clouds, enabling optimization of their IT investments. IT departments can provide internal end-user departments with preset system configurations of virtual machines and virtual networks, in accordance with company cloud deployment policies, security policies and the necessary level of service for each system, through a portal-based internal cloud services menu. 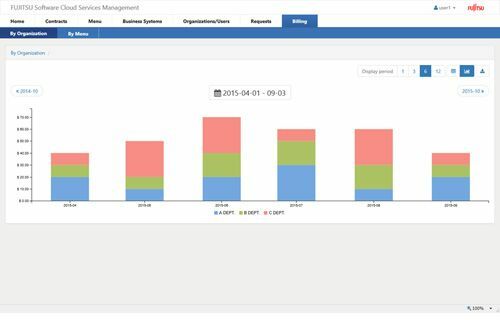 In addition, because it is possible to have separate settings displayed for individual departments or projects, it is possible to promote usage that follows the organization's operational and security policies, strengthening company-wide IT governance. 5 billion yen over three years.